This post is dedicated to one of world’s best negotiators, Nelson Mandela. 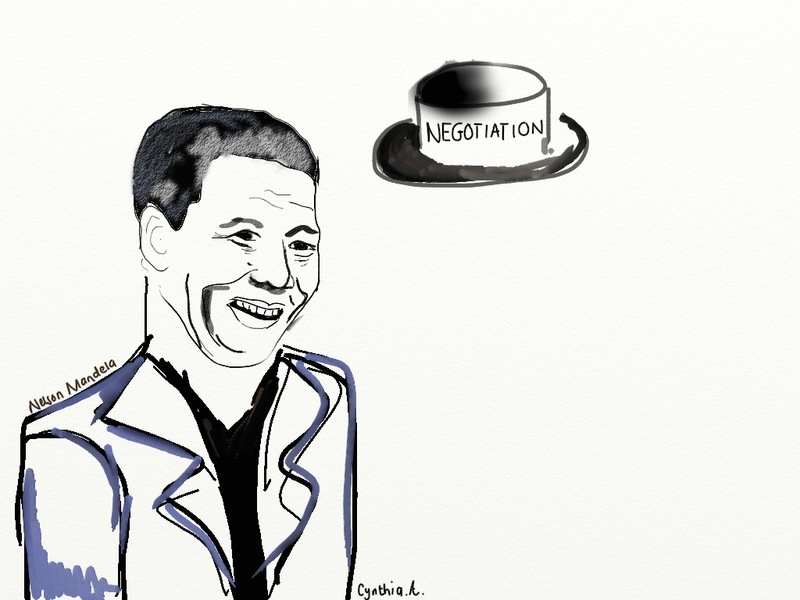 His negotiations with the South African apartheid government are a great example of a skilled negotiator. Executive: I would need this additional feature in our next release; it is for our most valued customer. It really needs to be in the next six months. Product manager: The current features in the roadmap will take six months; this has been carefully planned and estimated. We can consider removing one of the existing features and adding this one. Executive: That is not possible, our clients are expecting these features, we have already committed to them. Product manager: What is the reason you need this feature in the next release? Maybe I can suggest an alternative solution? Executive: I promised our client this feature for the next release some time back, I need to keep to my word. Product manager: This is interesting, I had a discussion with the same client recently and I am almost sure we can offer them an alternative solution. Maybe we should have a discussion with them and consider our options first. Executive: Okay, let us go ahead with this discussion. Note how the executive communicated his position first and his interests were revealed only after asking the ‘why’. Also notice how the possibilities become broader when his/her interests become clearer. Once the interest is revealed, various solutions can be considered. It is important to generate not just one but many options when considering solutions. Way too often only one option is considered simply because stakeholders believe they know the right answer, and this leads to premature closure. Product managers must take the lead to understand the problem space and assist in generating various options. He/she has deep product knowledge and also a good technical understanding; this is an advantage when generating creative solutions. Brainstorming can be used to generate options and it is important to separate the act of inventing options to the act of judging. First invent, and then decide later. Facts and data are really important in negotiation, it is important to seek “a wise agreement as judged by any objective standard”. During negotiations, never yield to pressure, only to principles. Executives and managers like to make very strong statements about products, this is great but always keep in mind, these are just opinions. Keep an open mind, invite them to state their reasoning, suggest object criteria and refuse to budget except on this basis. Product managers must drive decisions based on data, this could be: market and customer related data, product metrics, and technical information. At the same time be open to reason and be there to actively listen. This entry was posted in Leadership, Management, Product Management on July 14, 2013 by Annu.